Earlier this year, we published a series of articles discussing the problems facing the accountancy profession, asking finally whether the Big Four were facing an existential crisis which might prove terminal. In a recent interview with Oliver Shah, one of the Sunday Times’ top journalists, the relatively newly elected chairman and senior partner of KPMG UK, Bill Michael, was asked about KPMG’s plans and purpose. 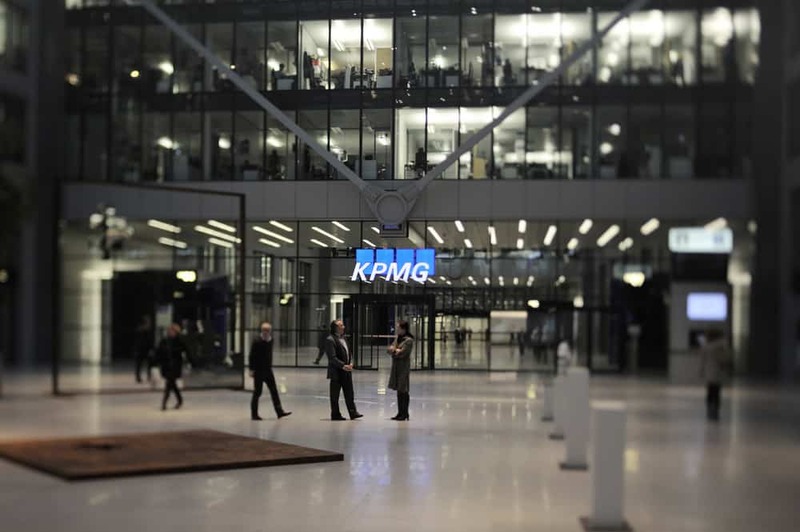 As an alumnus of Peat Marwick Mitchell, the founding partnership of KPMG, I was intrigued to hear about the KPMG chairman’s purpose (goal) and plans (strategy). This article is a short critique of what was published from the interview, commenting from the viewpoint of a former articled clerk in the Peats’ London office of the 1960s, who imbued the ethics and professional standards of the day, and has latterly spent some thirty years reviewing corporate governance. whether the ethos of professional advisers to clients can survive the practical requirements of managing huge multi-disciplinary businesses in a ruthlessly competitive environment. the string of scandals with which it (not uniquely) has been linked globally, the worst probably being in South Africa, where its business has been catastrophically damaged, and from where the reputational damage has spread far and wide. What questions were asked of Mr Michael? One might have expected Oliver Shah to have quizzed Mr Michael, as a senior member of the accountancy profession, on the general issues listed above, and probed deeply about how he proposed to restore KPMG to the leadership of the Big Four. But if he tried, it doesn’t come through in the reported conversation. Mr Michael was asked the undemanding question, why he felt that criticism of accountants had become deafening, in response to which he blamed the hangover from the financial crisis – ten years ago. He referred to the so-called three lines of defence which supposedly protect a company against risk, and regretted that audit (part of the third line, after management and compliance) got blamed – by implication disproportionately – after failure of the first and second line. He volunteered that splitting audit from non-audit, as in KPMG’s submission to the CMA enquiry, would potentially damage audit quality, but wasn’t apparently challenged to produce supporting arguments for this statement. There are very good arguments that such a much-discussed course misses the point, that the purpose of audit itself is the first and most important matter to be addressed, but there was no mention of this. Regarding the future of KPMG, Mr Michael didn’t articulate his plans and purpose, as promised early in the article, and appears to have escaped detailed questioning altogether. Apart from justifying his commitment, that KPMG would cease carrying out non-audit fee work for FTSE 350 clients, as not constituting simply spin, his final contribution seems to have been to sum up his “purpose” for KPMG as “our core is that we’re a content firm and assurance is at the heart of that content”. Which was interpreted by Mr Shah as meaning that KPMG needs expertise in a wide range of areas and must command trust. Michael Porter would not have given that statement very high marks in an MBA class. He was allowed to refute personal comparison with Donald Trump by preferring to relate to Sir Ronald Leach, who memorably called out Robert Maxwell as unfit to run a public company. I recall sitting next to Ronnie Leach at a Peats’ dinner for articled clerks and (unwisely) asking him why he had stayed with Peats all his career instead of leaving to broaden his experience. But the Peat Marwick of those days was still a small professional partnership, and the senior partner was a very respected figure in the City, whose public statements carried a degree of weight and integrity sadly inconceivable today from the leaders of the accountancy profession. Most of the rest of the interview appeared to be about Mr Michael’s lifestyle, showing his personal discipline, attention to his health and concern for his family. But the sub-headline was: Accountancy is under siege. KPMG’s new boss Bill Michael says it has to defend itself better – without shooting from the hip. A disappointing contribution from a usually hard-hitting journalist, or a slick performance from the KPMG chairman. What should Bill Michael have said? Mr Michael had the chance to address the big issues facing the accountancy profession, listed above, starting with tackling the expectation gap, for instance by redefining the purpose of an audit and enshrining this in regulation and company law, together with a newly expressed role for the auditor, which would provide a safe harbour for the accountancy firms. He could have specifically projected a vision for KPMG to regain its former lustre and leadership, in particular expressing how KPMG planned to restore a lost ethical reputation, and rebuild leadership of the profession through innovative new technologies. The over-riding problem is maintaining the credible ethical independence of professional auditing while providing other services seen as necessary to support the audit per se, as well as (less trumpeted) boosting revenue and profitability generally. So, it must surely be time to consider resourcing audit with appropriate technology to enable it to exist independently of all the related professional advice fields which are currently considered to be essential. Without giving away the secrets of his strategy, he should surely have made some statement here. After all, with a UK turnover of in excess of £2bn, the chairman of a UK listed company would be expected to explain what he proposed to do to beat the competition and lift his company in the league, indicating the key metrics by which he should be judged. We don’t know how long the interview was, or what opportunities he had to discuss the article before publication, but these big interviews in the Sunday Times Business Section are high profile and widely read. As an alumnus, I confess I am mightily disappointed.